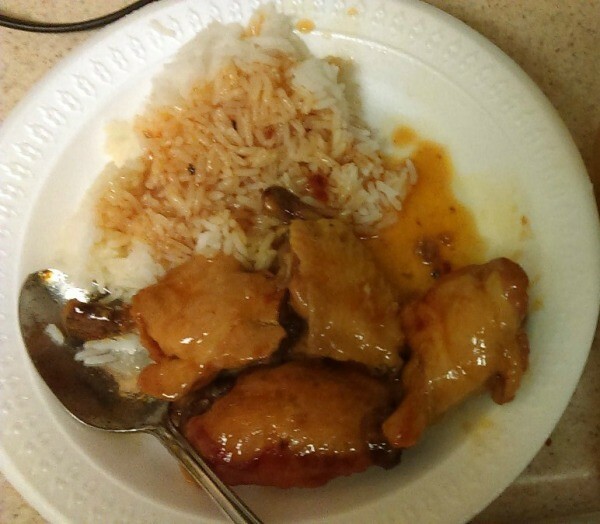 A favorite Chinese American dish is sweet and sour chicken. Make this delicious meal yourself for dinner tonight. 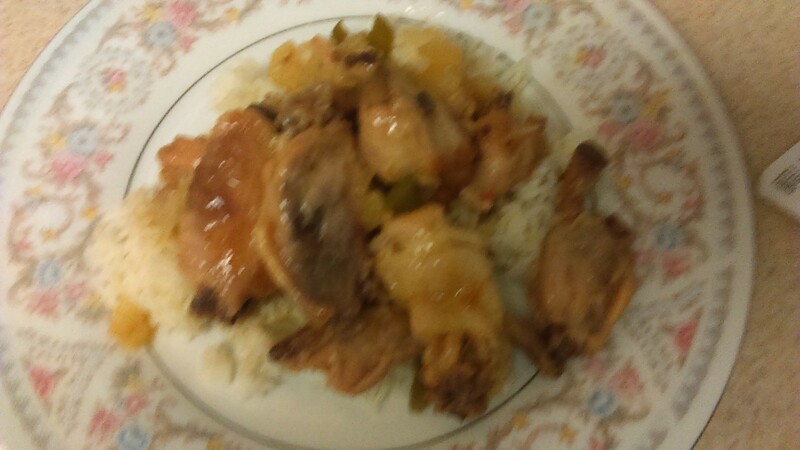 This page contains sweet and sour chicken recipes. When your family eats this, they'll never know how quick and easy it is. When making a stir-fry, it is a real good idea to have all the ingredients prepared and at hand in the order they are put in the skillet or wok. The food cooks fast, so you don't have time to stop and prepare any of the ingredients. I like to put things in bowl, if liquidy, or on sheet of wax paper or paper towel for every thing else. 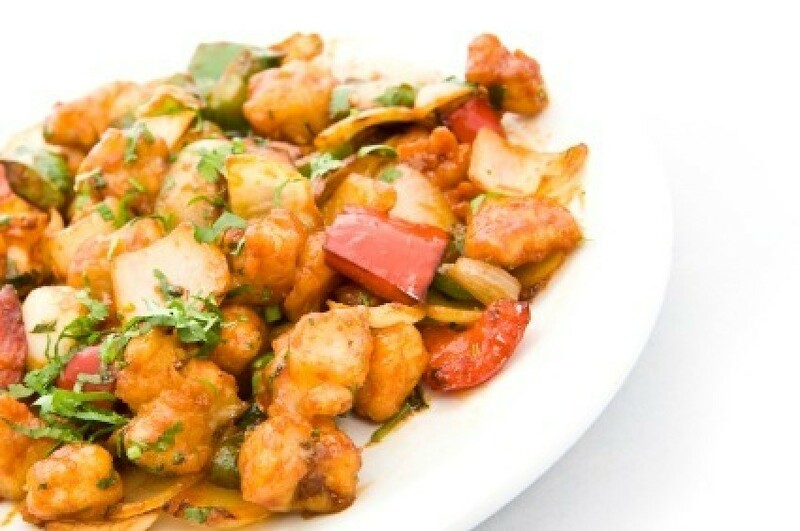 Sprinkle the chicken cubes with sesame oil, ginger and garlic, and let this sit while you prepare the other ingredients. Mix the vinegar and sugar in a small bowl and set aside. Mix the soy sauce and cornstarch until smooth; set aside. Stir fry the chicken quickly over medium high heat until it is just barely starting to brown. Stir in the vinegar and sugar mixture, then the peppers, the pineapple and its juice. When it is starting to bubble, turn the heat to medium, and add the soy sauce/cornstarch mixture, stirring constantly. Simmer until the chicken is done, stirring occasionally, about 10 minutes. Add the tomatoes, and cook for another 5 minutes. Serve with rice. You're in for a sweet and tangy treat. Here you are going to prepare a pack of your favorite wings parts. In the supermarket you can find sweet and sour sauce to your liking and add it to the crock pot. You are going to need a bottle of your favorite hot sauce to spice up your serving. Wash chicken wing parts and add them to the crock pot. Cut up one small onion to add to the pot. Let it all cook down for a few hours. I like mine dark so your choice is fine, as long as the meat is done. Serve with your favorite veggie and side of rice. I used jasmine rice and it's perfect. Shake a little hot sauce on the top and you are eating good. Another kid-friendly recipe. Very good! Combine the cranberry sauce, French dressing, and barbecue sauce. Place chicken breast in baking pan. Cover with sauce and foil. Bake at 350 degrees F for 30 minutes. Recipe for Sweet-and-Sour Chicken Packets. Opening up a grill packet is a sweet surprise! Chicken breasts go sweet and sour in a hurry. . .